This clever little lamp is an eco-friendly wonder and just plain cool in my books. 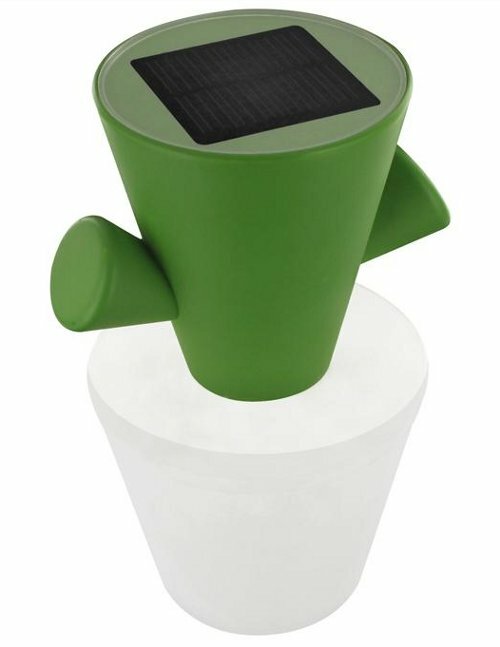 It’s completely solar powered, made from bio-plastic corn and bamboo and features some nifty gadgets that’ll have the whole family partaking in the fun – and the innate educational experience for the kids on saving energy. 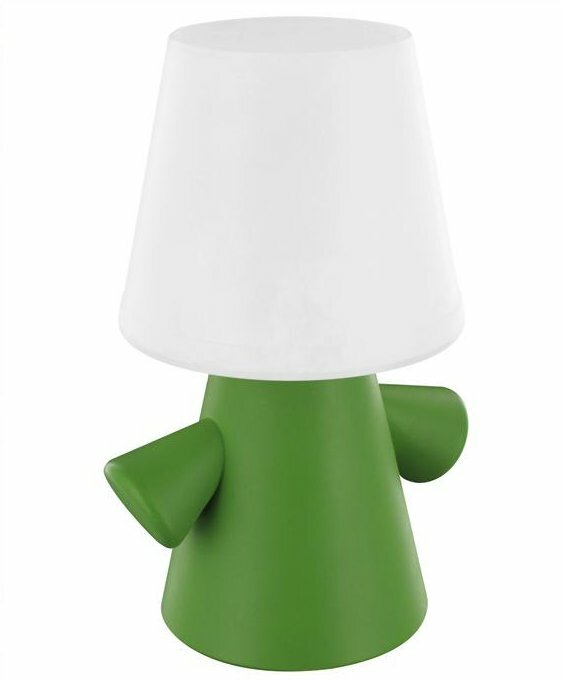 That fun starts with the name: Greenman, a double meaning as it’s green in colour with little arms that look like a man and it’s of course ‘green.’ It’s also a cordless, take-anywhere-with you lamp, is waterproof (perfect for the kiddies), can be used indoor or outdoor and its most amusing feature for the little ones will have to be the right side up/upside down aspects. Right side up it’s a little green man, upside down it’s a cactus! Turn it upside down during the day to charge the mini solar panel and when you’re ready to use it, turn it right side up and voila, it’s lit. It will stay lit for up to four hours using an energy-saving LED bulb. That’s plenty of time for book reading and kisses goodnight. Made by the Italian Spalvieri/Del Ciotto design studio, head to Made in Design to buy. It’s priced at £33.86 (excl. VAT) with shipping to Australia bringing the total to £58.93, or approximately $103.